It’s Federal income tax filing day. It’s a stressful day for many people. Investors get the added bonus of paying extra taxes on their investment gains, interest and dividend income. Investors and financial advisors can get fixated on reducing taxes, because no one likes to write a check to the IRS. I want to burst your bubble and state that trying to minimize taxes from your investments also reduces your opportunities to make above average returns. I’ll make a bold claim. Financial advisors and other investment “experts” focus on reducing taxes because they can’t deliver better than average returns. If you produce average returns, the only way to help clients is with tax planning. I take a different approach, focusing on income stocks and other investments that will truly grow the size of an investor’s portfolio. The median yield of the widely owned Dividend Aristocrat stocks is about 2.6%. A $100,000 portfolio of these stocks will produce $2,600 of dividend income per year. In the top tax bracket these dividends will be taxed at the lower “qualified dividend” rate of 23.8%. The result is a net after tax dividend income of $1,981. In comparison, the stocks on my Conservative High Yield Stocks list have an average yield of 6.6%. A $100,000 investment in these stocks will produce $6,600 of income. 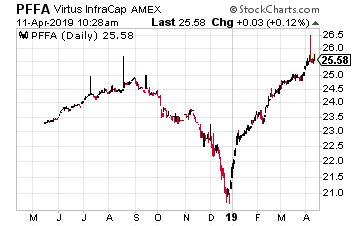 While there will be some tax advantaged income from these stocks, it is impossible to quantify, so let’s have that $6,600 taxed at the maximum 37% income tax rate. The net after tax income is $2,442, or 23% more than going with the traditional plan for tax advantaged dividend income. I am happy to pay more taxes if I end up with 23% more income after tax! Bottom line is that you will do better after taxes if your investment strategies produce above average returns. The strategies pushed by the mass financial services industry will at best produce average returns, because they are the average. With all that said, let me share a few tax advantaged income investment ideas. Companies that own major, revenue producing infrastructure asset have significant depreciation tax write offs against the earnings produced by those assets. The bottom line result is this type of company will have much greater free cash flow than it has taxable net income. If that cash flow is paid as dividends, part or all the dividend income can be classified as non-taxable return of capital. 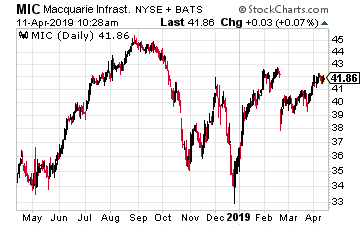 One example is Macquarie Infrastructure Corporation (MIC). For 2018 the company reported that 65.5% of dividends paid were qualified dividends and 34.5% was non-taxable return of capital. Energy midstream master limited partnerships (MLPs) are true infrastructure services providers. The limited partnership structures produces distribution income that is completely non-taxable. You do have to do extra tax work to file the MLP issued Schedule K-1s. 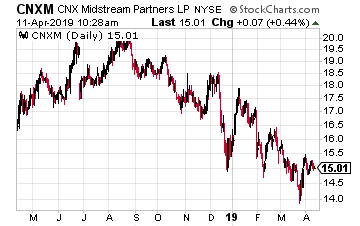 CNX Midstream Partners LP (CNXM) is a highly rated natural gas gathering and processing MLP with a 9.6% yield and growing distributions. Preferred stock shares pay dividends that are more secure than common stock dividends. The preferred dividends are tax-advantaged with a maximum 20% federal tax rate. The Virtus InfraCap U.S. Preferred Stock ETF (PFFA) pays monthly dividends and yields 9%. For decades, it was impossible to earn income from the little guys. However, thanks to some surprising bipartisan legislation, it’s now possible to collect a monthly royalty of up to $2,123 from your favorite local spots. Click here to collect small business royalties today.